I didn’t really begin to scratch the surface of what Japan was like in the previous post. Everyone was friendly, but from what I’d describe as a professional distance. In Japan, people didn’t volunteer to help us. But if we asked, they helped without reservation, though seeming slightly startled, as though being asked for help didn’t really happen there. Which, for all I know, it may not. Everyone we interacted with seemed to like their job, and do it professionally and with a smile. In Korea, if we stood there looking lost, people would approach us to help. There was a lot more barging in Korea. People didn’t wait for passengers to exit the subway or bus before pushing on. They crowded up against us in lines and shops. There seemed to be less in the way of personal space. In Japan, while the personal space-bubble seemed smaller than our own, it was inviolate. Whereas in Korea, it just kind of didn’t seem to exist. Koreans, the older men, anyway, were really into my beard. I got a lot of fawning compliments. Having a thick beard is apparently peacocking age and power. Once, some older men made a joke of offering to stand so I could sit on the subway, since my beard indicated I was elderly and important. When BB scratched my beard in response, they were shocked and laughed, as if she’d done something terribly taboo. We spent the first night in a sleazy little motel by the airport, because we got in at 11pm, and didn’t want to try to negotiate the hour-long trip into Seoul from Incheon Int’l. 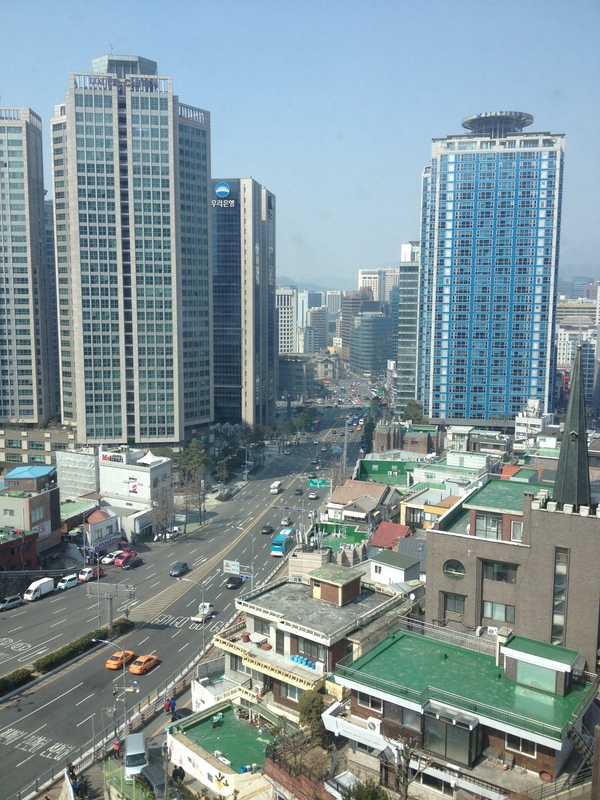 When we did get into Seoul, we found a bewildering dervish of a city, with eight-lane highways right at street level, and unfathomable sprawl. Tokyo sprawled, but we never really saw how from the air. 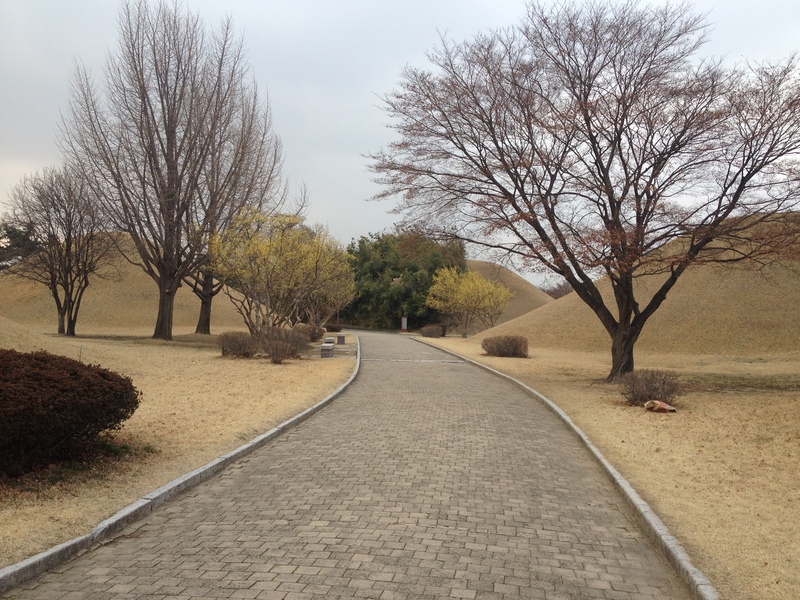 Seoul, we climbed a park in the middle of the city, and saw the urban landscape spread in every direction. 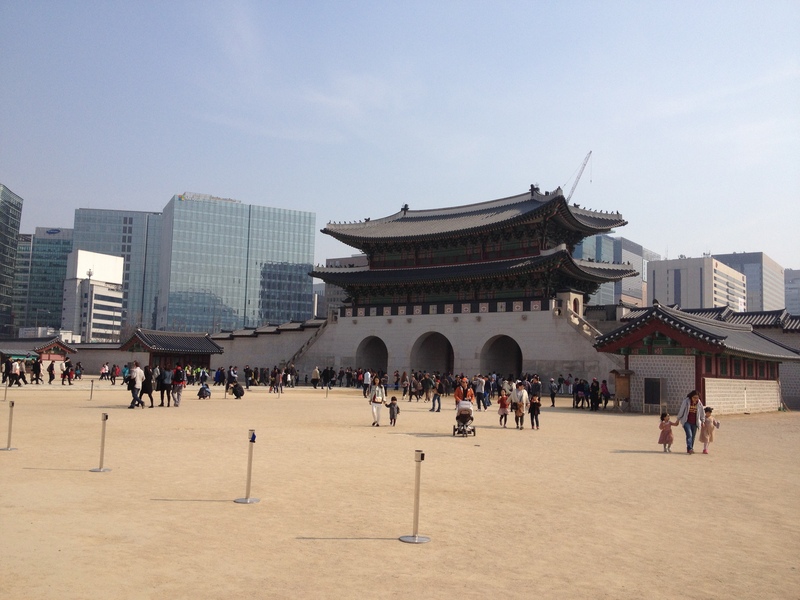 In the middle of Seoul is a fabulous palace called Gyeongbokgung. It’s enormous and imposing and astonishingly well-preserved. We followed this up with a trip to the Confucian Shrine. It’s so large that one cannot get all of it into a photo. It’s where the spirit boxes of ancient monarchs are kept, for the resting place for their souls. 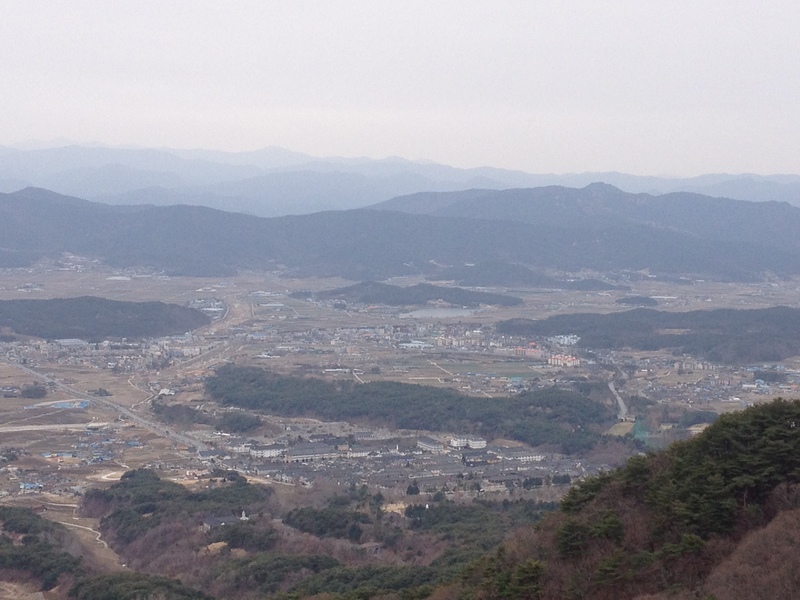 After Seoul, we rode on the high speed train to a smaller town called Gyeongju. 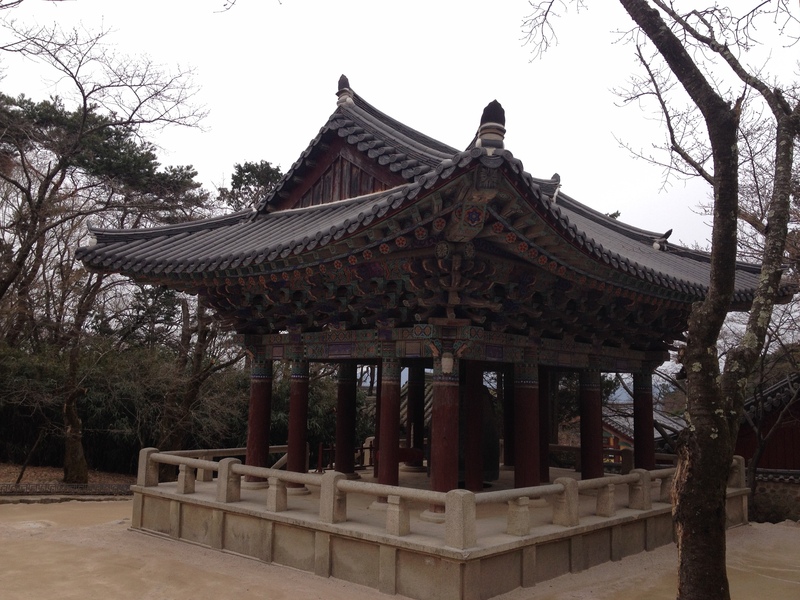 There, we saw some amazing sites, as it is one of Korea’s best preserved locales, with some standing temples dating from the 8th century. 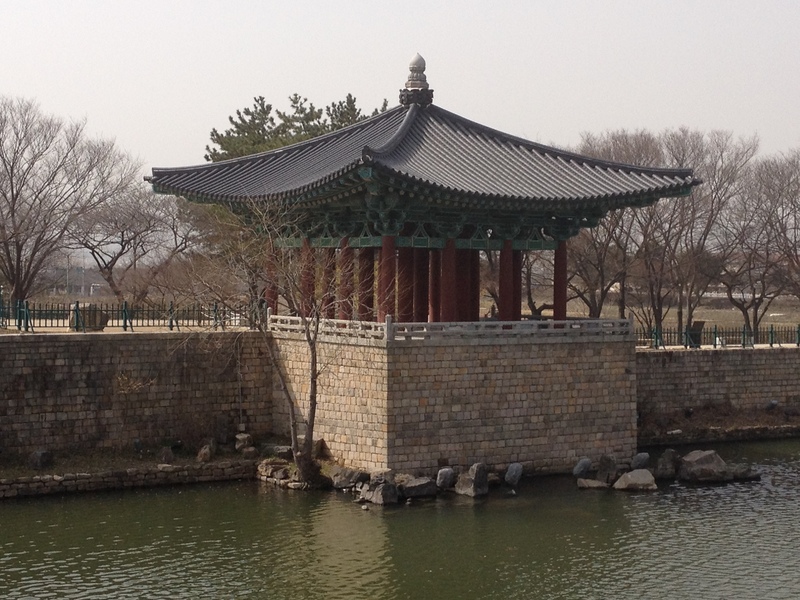 Others, like Anapji, were more recently, but still long-ago, restored. And these incredible third-century tumuli. 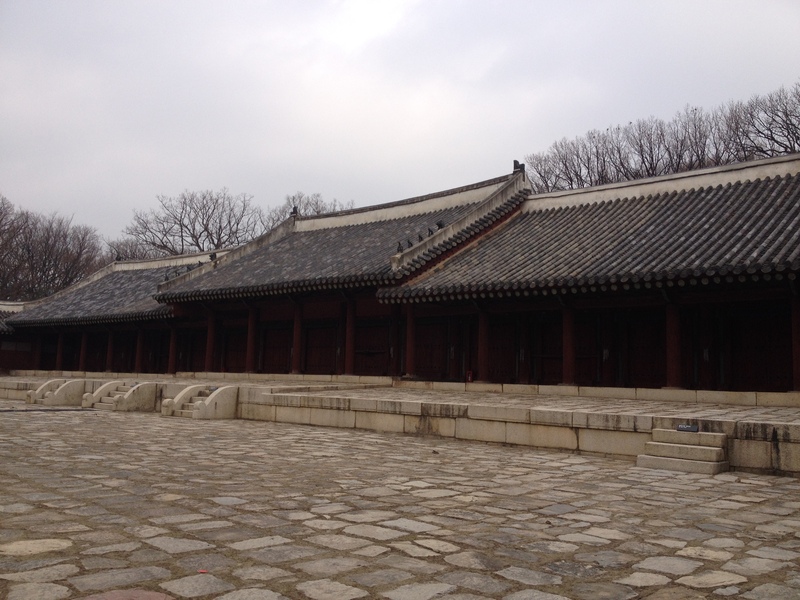 From Gyeongju, we took a bus out to Bulguksa, on of the UNESCO world heritage sites. An 8th century temple in all its glory, though rebuilt in the 16th century after being destroyed in one of the many, many Japanese pillagings of Korea. 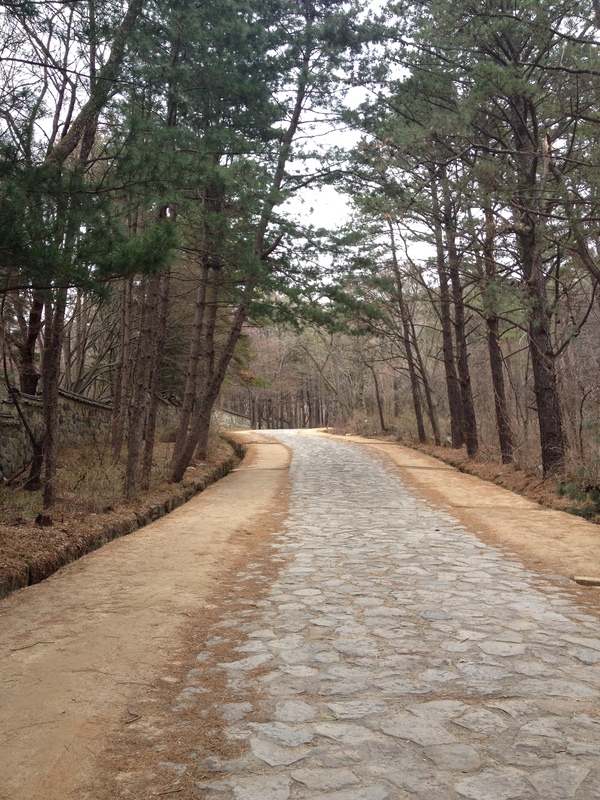 From Bulguksa we climbed and climbed hiking up a well maintained path that was nevertheless pretty brutal to me. The picture does no justice to the steepness. 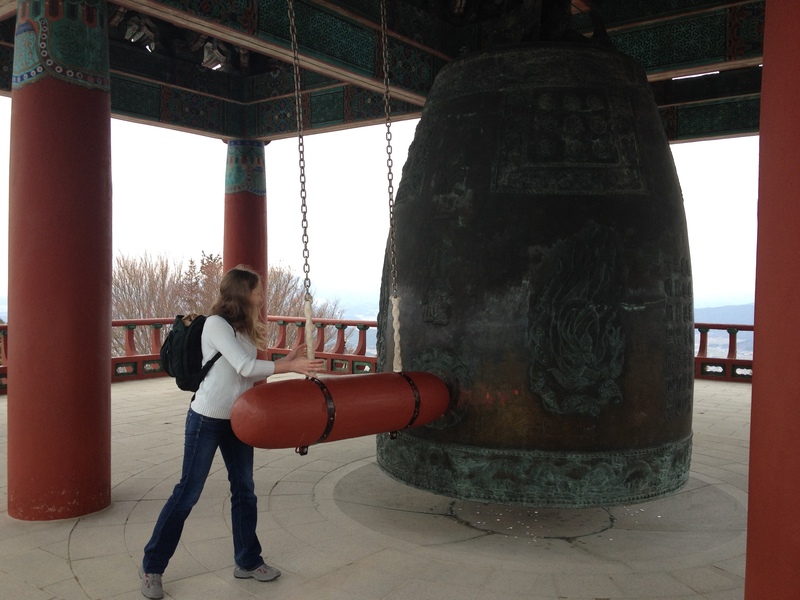 At the top, we rang this bell for mercy. Literally. It’s a bell to be rung for mercy, pealing astonishing gongs throughout the valleys. 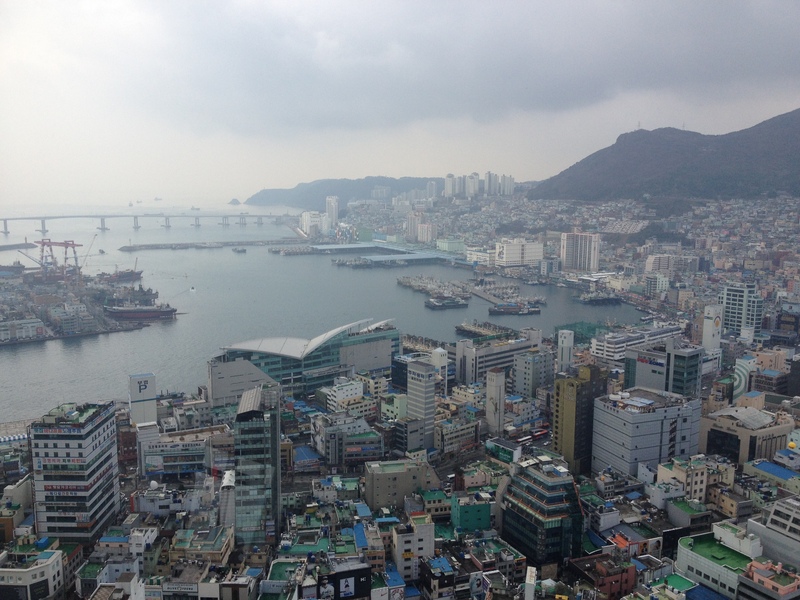 From Gyeongju, where we stayed in a tiny 120 year old guest house with bare floors and a mat to sleep on, we went to Busan, the thriving seaport. And from there, we came home. All in all, an astonishing, wonderful, mysterious, and exciting vacation. You should go. Strangely, I don’t have a desire to visit Japan or Korea. However, I would like to visit Vietnam, Nepal, Tibet. I prefer less urban environs to visit, although I would some day like to go to India with all its mysticism.